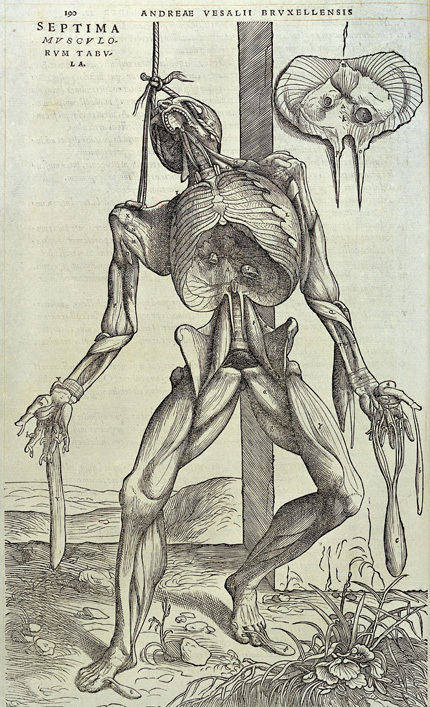 Paper proposals are invited for a conference on ‘Death, art and anatomy’ that will take place at the University of Winchester, UK, 3–6 June 2016. This interdisciplinary conference will explore the intersections between death, art and anatomy, by bringing together art historians, medical historians and practising artists. 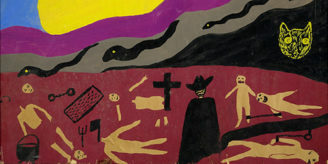 The conference is supported by the Wellcome Trust, the Society for the Social History of Medicine and the Department of Theology, Religion and Philosophy at the University of Winchester. EPB/6560/D: Andreas Vesalius, De humani corporis fabrica libri septem (Basel: Ex officina Joannis Oporini, 1543), p. 190. Wellcome Images L0031739. The intersection between death, art and anatomy is a largely marginalised area of study, but one this conference hopes to explore. A major strand of the conference will be addressing a core problem in medical history, that is the growing awareness of human anatomy in Britain between the medieval and early modern periods (c. 1350–1560). This will be explored through the study and analysis of extant late medieval carved cadaver sculptures which largely predate Vesalian knowledge of anatomy, and suggest that sculptors may have had an opportunity to study and recreate emaciated (and eviscerated) human corpses. This raises the question of what religious and ethical considerations surrounded the creation of such pieces, and how their creators may have gained access to the emaciated dead and/or dying. 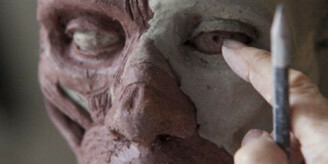 As such, central to the conference will be the presentation of a newly-commissioned carved cadaver sculpture inspired by historical counterparts, with reflections by the artist, world-leading anatomical sculptor Eleanor Crook. Allied subjects such as medieval hospitals, visual culture and death, the inspiration of the dead in medical art, physicality and poetry, and death and medieval theology will also be explored by invited speakers. Papers are welcomed from postgraduate students, early career researchers, artists and performers, and can include works in progress, but must address the conference themes. Presentations should be in English, and will be allocated 20 minutes each, plus 10 minutes for discussion. Prospective participants are invited to submit abstracts of 250–300 words in Word. Proposals must include name, institutional affiliation (if relevant), a short biography (no more than 100 words) and an email address. Proposals for panel discussions (organised by the participants) will be considered. It is proposed that a selection of the papers will be published. The deadline for receipt of abstracts is Friday 11 December 2015. Author: Dr Christina Welch is an interdisciplinary scholar at the University of Winchester who lectures in Religious Studies, leads a Masters degree in Death, Religion and Culture, and has research interests in the connections between religion and visual/material culture. Her recent work has addressed the intersections between religion, death and anatomy in late medieval England.